Wales had a tremendous second half against Ireland. It was as well as they have played at any point during the last nine months. They dominated the entire period and forced the Irish to defend for 30 minutes. This unusually one-sided period meant that Wales finished the game with 65% of the territory and 63% of the possession. Wales carried the ball 512 metres compared to Ireland’s 210. They made twice as many clean breaks, beat nearly double the number of defenders and forced Ireland to make 176 tackles – Wales made just 101. But of course, none of this counts for anything and it masks the fact that Wales were out of the game after just 43 minutes. This disparity between first-half and second-half performance isn’t an isolated incident either – it was the same story against the All Blacks. A cure needs to be found for these schizophrenic first-half displays – and fast. Wales’ offloading game was very impressive in the second half and it was as pleasurable to watch as it was effective. But there is something desperately frustrating about watching Wales offload the ball for parts of the game and not others. Currently the Welsh team only pass out of the tackle when they are desperate. But offloading the ball shouldn’t be a tactic that is dictated by emotion and desperation. Why should you only offload when the game seems lost? Wales are far more effective when they pass around defenders rather than simply running straight through them. 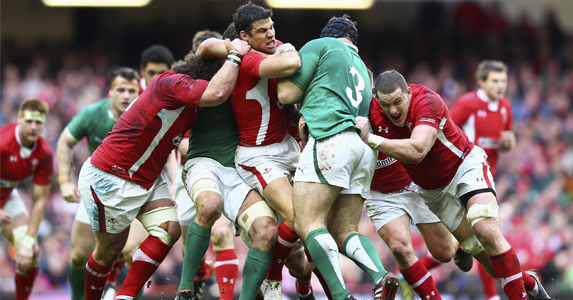 The ‘choke tackle’ seemed very aptly named after Saturday’s performance against Ireland – it suffocated much of Wales’ quick ball. It’s no secret that the Irish like to wrap the upper body in contact and force a maul, thereby increasing the chances of being awarded a scrum and their own feed. It was therefore genuinely surprising to see some of the Welsh ball-carriers approaching contact with such high body angles. Even when the Irish didn’t manage to keep the carrier in the air, it bought their defence an extra three or four seconds with which to reset their line. Sometimes getting to the ground is more important than making the extra yard. 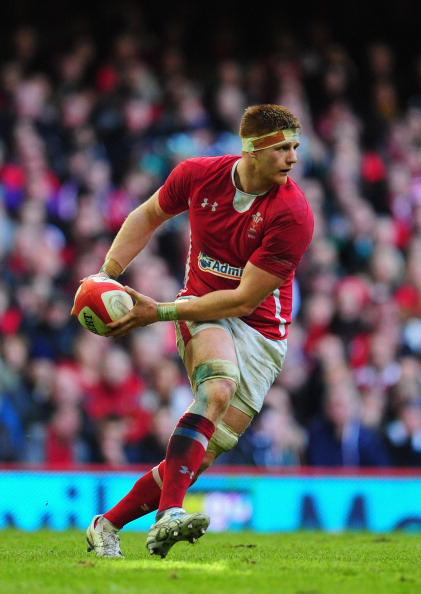 Andrew Coombs was tremendous against Ireland and more than deserving of his first cap. In fact, they should present him with two caps for that one performance alone. Coombs had a 100% lineout completion and didn’t miss a tackle – but it was his ball-carrying that was so impressive. At points during the first half he wasn’t just carrying the ball, he carried the team, and his low body angle meant that he wasn’t once caught out by the ‘choke tackle’. Prior to the Ireland game Coombs’s selection raised a few eyebrows from Welsh fans; after Saturday’s performance the only raised eyebrows will be coming from his fellow second-rows in the Welsh camp. Coombs will be hard to drop for the France game. Jonathan Davies is a very good player. His angles of running are superb, so too his defence, but sadly at times, his handling isn’t. Not all of his passing should be called into question but he does occasionally struggle with his mid- to long-range passes. These are costly errors and stunted Wales’ ability to move the ball through the back-line. It’s the only aspect of his skill-set that’s stopping him from becoming one of the world’s top three centres. However, if Coombs is able pass the ball 20 yards, so too should your outside-centre.